When you start to take away all of the graphics and special effects, you can distil most games to one basic theme. With games like Call of Duty or Resistance, it comes down to reflexes. With the very popular Guitar Hero and Rock Band games, you end up with hand-eye coordination. World of Warcraft and most MMO games come down to time – how long before you can do something again, or how long it takes to do something. Most Real-Time Strategy (RTS) games come down to either strategy or economy. With A.I. 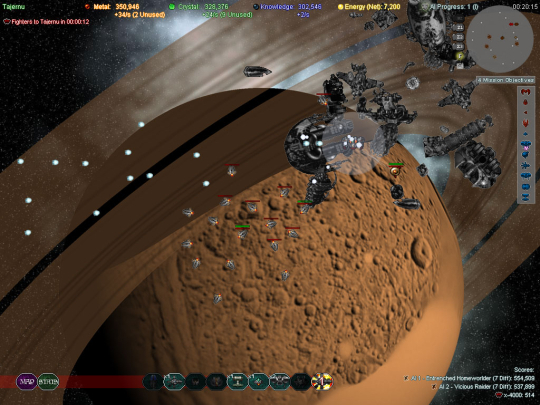 War: Fleet Command, a new twist comes to the RTS genre: scale. Ever wanted to command an interstellar armada of several thousand ships? Settle into the command chair, Admiral. You’ve got a war to win. A.I. 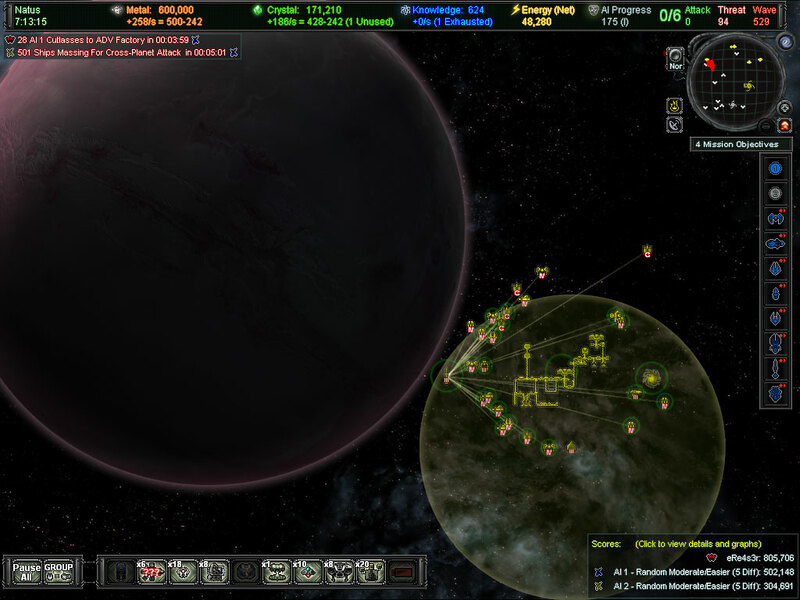 War: Fleet Command is bit of an indie game. As such, you’re not going to be treated to a massive cinematic intro or a manual/novel with histories of what led to this point. Here’s the short version: humanity set up a series of artificial intelligences to aid with the exploration of space. After a few wars between various factions of humanity, those A.I.’s decided to remove the cause of all those wars – the human race. Now, pushed to the edge of extinction, you take the role of an Admiral of a small fleet of starships with the goals of building up a fleet, stopping the machine intelligence, and keeping your species alive. Without much more explanation than that, you are invited to basically make your own story as you play. Are you fighting against Cylons? Against the droid army of Star Wars? Perhaps against the Borg? Perhaps you prefer Dune, and see this as your chance to fight the Butlerian Jihad against those cruel machines. Personally, I really liked the freedom to create my own story as I played. One of the best features of this game though is the cooperative aspect. Up to 8 players can take the fight to the A.I. online. There is no adversarial multiplayer, so you will never end up with a fight against other humans. You will come to appreciate having other humans available to either help you expand your empire or bear the brunt of an A.I. attack when it comes, because believe me, the A.I. will eventually notice you and come for you. At the start of the game, you are considered by the A.I. to be a nuisance at best. As you start to build and expand, the A.I. will gradually become aggravated with you, and then eventually outright hostile. It is a gradual fight, and letting yourself get sucked in means it is only a matter of time before you start referring to ships by the names of made-up captains in your head. First, the backdrops. I’ve got a decent size monitor, but I’m seriously thinking of going out and getting a bigger one just for this game. 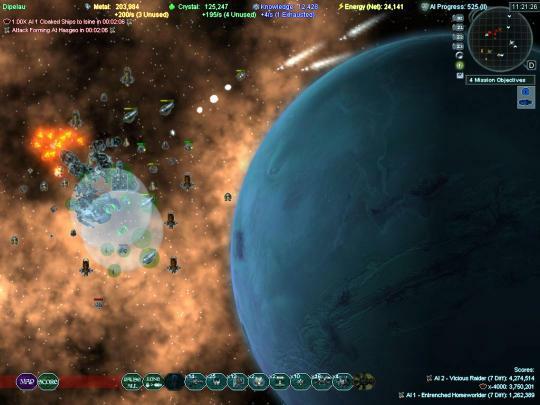 Each planet in the game hovers in front of a beautiful star-scape with cloudy nebula, twinkling stars, and often metallic shells of other vessels lost in previous engagements. The backgrounds really are beautiful. I’d be more than happy to be able to set up a screen save just of random planets from this game. It would be too much to expect a unique animation for every single thing a ship does in a game that features many thousands of ships on-screen at once. Well…you actually kind of get that. Most ships feature a lighting effect of some sort. Engines pulse, weapon systems rotate, and running lights illuminate some of the bigger ships. That, however, is only if you zoom fully in to see the individual ships. The game screen for most planets is so large that, at the default settings, it would take around 10 minutes to scroll from one side of the map to another. As such, most of your control will be done zoomed out so far that the ships are all represented by icons. Fortunately, they are clear enough that you can distinguish fighters from bombers from cruisers. 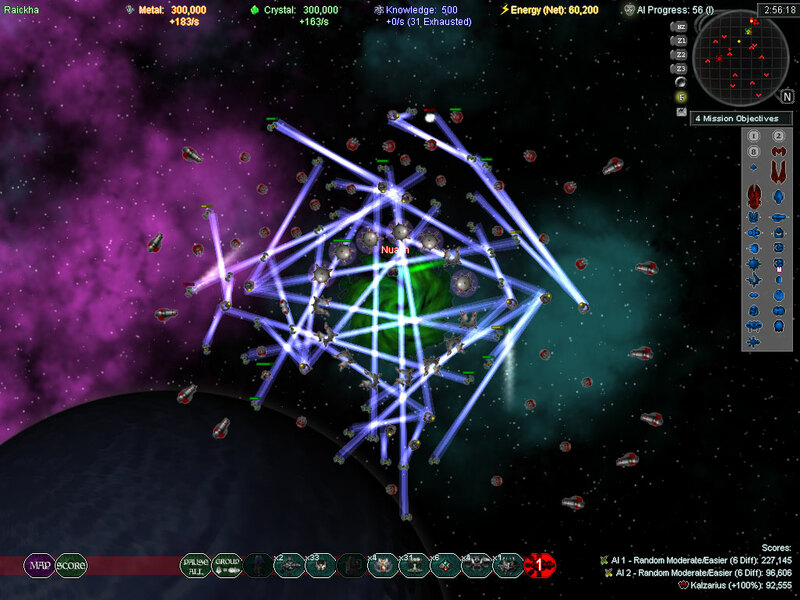 Each ship also has unique weapon effects, from missile firing to lasers to bombs. This is another game where screenshots don’t really do justice to the action on screen. It flows smoothly, with never a hiccup or slowdown, even with fifteen-hundred ships fighting on screen at once. Hell, even the videos on the game’s site don’t really convey the scale of what is going on. On the down side, there isn’t a bunch of idle animation during the battles. Fighters and bombers don’t make attack runs and loop back to their staging areas. If you can ignore that, and the occasional tendency to stick on forcefields, you have a great looking game. When you have a 500-ship fleet raining down plasmic and kinetic hell on a target, you have an utterly beautiful game. Similarly, zooming in and watching a mixed-ship armada running through space towards a target or a jump point is lovely. When you stop doing any management aside from watching ships run back and forth over a planet, you know the graphics are nice. Like any other science fiction entry, there are essentially two notes to the game’s sound. The first is the background music, which is appropriately futuristic and enjoyable. You might not love the music, but it sets the tone and reacts well to the status of your campaign. The music will repeat every once in a while, especially as you start to play multi-hour long games, but with that said, it really does suit the game. Marches tend to be the most used type of song, but it really fits the theme of the game. The second sound is the weapons fire, both friendly and hostile. Each ship-type has a different sound effect for the weapons, and pleasing explosion sounds for when a ship finally succumbs to the fire. However, some of the sounds a bit annoying. During one of my campaigns I picked a Gatling laser for my speciality ship. Frankly, it was a lot more pew pew than I wanted. Especially when I had groups of a few dozen. What I wasn’t ready for was the voice of the A.I. Overmind. After a particularly disastrous fleet action where I lost a lot of good ships, a voice broke out of my speakers. More amused than angry, but still conveying contempt, I heard “You will be exterminated.” You don’t hear it often, but when you do hear from the A.I., it is impressively evil. Anyone that has played a RTS game knows how to start in this game. You build constructor ships from your home station, and they in turn build fighters, starships, or other, more advanced ships. Meanwhile you will be gathering resources in the form of metal, crystals (dilithium inspired, maybe?) energy, and knowledge. Knowledge is a bit funny, as you can only gather a certain amount per planet. Once that max is reached, you have to expand to another system to gather science from that world. It’s a neat system. Exploration is different than most RTS games, but the fog of war concept is intact. Each planet is connected to other planets via a wormhole. You have to have a ship in that system to see what else is in that system. Scout ships tend to be the way to go for that-they aren’t completely invisible, but tend to be overlooked if you aren’t really ticking off the enemy. If you don’t have a ship in a system, you are blind. This means that most early segments of the game are exploratory rather than offensive. Once you have an idea of what is around you, it’s time to start sending combat fleets and colony ships through the wormholes. Don’t want to have the same tactics used against you? Then you need to defend those same wormholes. Typically your tactic for this is to set up a few tractor beam mines around the worm holes. The basic version can grab up to 10 ships as they jump through and hold them in place. Then it is up to your turrets and ships to pound the enemy attackers into space dust. Once the worm hole is secure on your end, it’s time to go on the offensive. Looking at the Galaxy Map is like looking at Mass Effect‘s Galaxy map, but each location is a potential fight. Jumping through the gates, you have any number of potential fights on your hands. Maybe you just jumped into a minefield which could destroy your fleet in short order. If you don’t have an engineer drone with you, you’ll have to either destroy the mines before you leave the gate area or just take your chances and hope that you don’t lose too many ships. If you haven’t scouted things out, maybe you are jumping into a turret and ship patrolled ambush. Or maybe it’s none of the above, and you can get oriented and head towards the enemy. If this is the case, then again you have some tactics to consider. Depending on how aggressive your tactics get, the A.I. will match it. There is a counter that will indicate the level of enemy threat. The higher it gets, the worse it is for you, and certain actions will cause the threat level to jump considerably. 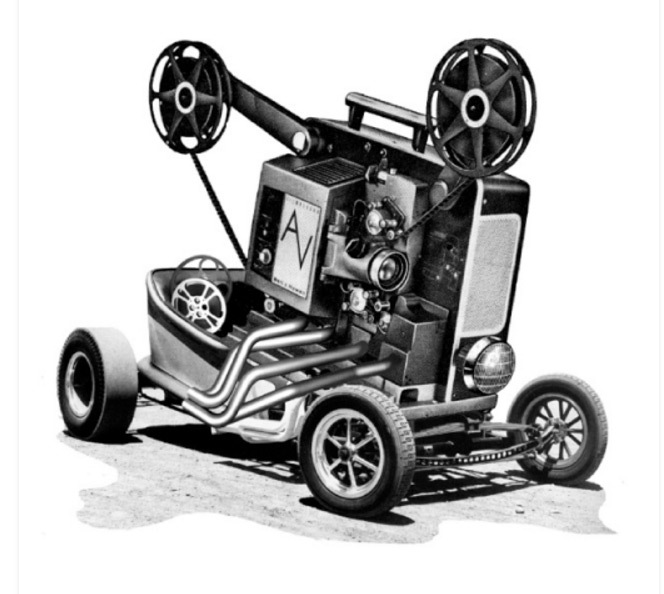 Destroy an A.I. base, and it jumps by ten. Capture and advanced factory or a science lab and it might jump by twenty. There isn’t really an upper limit, but around the mid-hundreds you are going to be facing a concerted attack from every enemy gate. You will be unlocking new technologies and weapons as time goes on, and you also have the opportunity to nuke the site from orbit. One of your weapon platforms is a missile hangar that lets you produce autonomous warheads. Lightning warheads will damage and disrupt ships and shields. 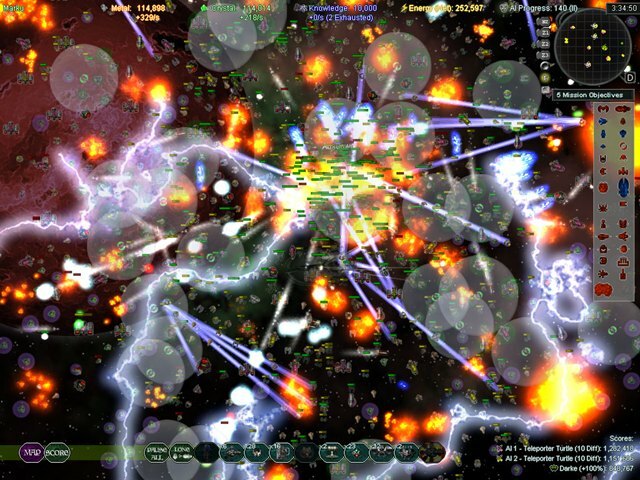 Explosive warheads will, as you can guess, blow up on contact and damage enemy ships. The nuclear warhead is a special case. There was a planet that was painfully well defended. I had lost two fleets, each well over five-hundred vessels, to a pair of shielded ion cannons. I decided to stop screwing around and sent in a nuclear weapon, even though the game warns you that you are going to be provoking an A.I. threat advancement of 50 points. The bomb went off, and it was worth it. Your screen flashes white, and slowly comes back to reveal the star system. The new, planet-free star system. Yes, Virginia, the nuke wiped out every single ship in the system and the planet as well. There are a few sections of the game that could be better serviced, but not many. I’d like to be able to send ships to other planets as soon as they are developed, or to set up patrol way points. Also, some sort of experience level for ships that perform well would be nice also; as is, an older ship isn’t used for much more than cannon fodder or last-ditch defence. Aside from enemy ships with well over a billion hit points, here’s another example of how big this game is. There are roughly two MILLION maps to choose from. Almost every game you play will be different based on that. Maybe your home system will be attached to half a dozen other planets. Maybe it will only have a wormhole to one other system and you will have to go from there. Sometimes you will be rich in resources, and sometimes you will have to fight for every metal mine or crystal resource to supply your fleet. Much the same way Diablo would randomly generate the maps in the dungeons, A.I. War will randomly create galaxies. No two campaigns will ever be the same. Adding in extras such as the ability to choose a different unique vessel-such as Gatling laser fighters, better science vessels, or cheaper capital ships-and you have a game that can be replayed until we have the same technology on display in the game. The only issue is the size and length of the game, but since you can change up options to allow for faster play, all the better. I mentioned the A.I. threat level earlier, and as long as you can manage that, you’ve got a very balanced game. Each ship type is balanced against other ship types. There are ways to manage the threat that the A.I. builds as well. I’m particularly fond of how Arcen puts it online: if an ant comes into your house, you might not care that much, swat it and get along with your life. If a swarm of ants, or a pack of wild cats or dogs, or eventually bears, storms your house, then you’re reaction becomes very, very different. So too with the A.I. A few humans aren’t much of a threat, so it won’t care too much. A force that blots out the sun? Different. Destroy a Server Farm and the A.I. loses a bit of the aggression as it has to reassess and re-establish data connections. The game itself plays very conservatively, almost letting you build along with it. As long as you’re keeping to your strategy, you’re not going to get wiped out. The only thing that keeps the game from being perfectly balanced is the length of the campaigns. On average, they are seven to eight hours long. Each campaign is a self-contained game. Fortunately, there is a friendly auto-save feature, and also you can save in multi-player. Let’s say you’ve got 5 other people that want to get together every Thursday at six and play for a couple of hours. The host can save that progress so that everyone can pick up next week. Great feature. The only real downside to the balance of the game is the same one that plagues nearly every RTS that there ever has been: by the end of the game, you are tending to just send everything you have at the enemy headquarters. The journey to that location tends to stay with you more than the final few shots, though. Every so often you come across a bit of science fiction that understands space battles. For all the visceral joy of Star Wars, those are really just World War 2 dogfights with lasers. Every time you see Klingons off the starboard bow, they look like you could throw a football from bridge to bridge. You tend to only see “realistic” space battles in books. Larry Niven gets it, and sometimes John Ringo nails it. Space battles aren’t all fast fighters dodging and firing. A.I. War: Fleet Command shows the distance that space battles might take place. Massive fleets firing at maximum range and jockeying for flank advantage at several million light years distance. Keeping it in a 2D, overhead view instead of making the shift to 3D helps the game to be easily controlled despite an amazingly complex system. During my first trip to a game convention, Origins sometime in ’01 or ’02, if I remember, I watched a group of players setting up a game of Battletech. I had played the Mechwarrior games, and I loved them. I loved the thought of seeing little painted miniatures on a giant map, probably 15 feet by 10 feet, being set up. Terrain, units, and other things were dropped on the map in a gradual, measured pace. Sadly, once the game got going, a snail would have been urging the players to speed up. With about fifteen people per side, and most units moving no more than six or seven inches, the game took forever. I might have wandered off before the first long range missile was fired. It might sound like I’m disparaging the game, but I’m not. The potential for an awesome battle or war that was on display has stayed with me all these years. That group of wargamers are the ideal audience for this game. The level of customization, the randomness of battles, and little touches like nearly ten different styles of turrets, most of those with multiple levels of technology, this is a great game for players who want a deep, tactical experience. For other people, those who just want to dogfight in orbit, you might want to look somewhere else. I don’t usually do this, but I’m going to directly compare this game with another highly addictive game. Sure, the genres are different, and the settings couldn’t be more varied, but here we go. A.I. 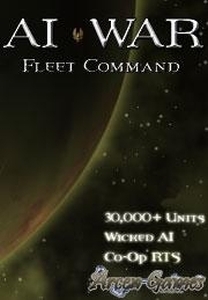 War: Fleet Command is more addictive than Diablo II. I had reinstalled that game just a few days before I got my hands on A.I. War, and right now, I couldn’t really care about my Berserker on battle.net. I’m having much more fun creating fleets and sending them into war. Juggling the fleet components, from fighters to bombers to missiles; or creating flagships to watch over those snubfighters; or even creating “death spores” by filling cargo carriers with dozens of ships and having them pop out just in time to swarm in ambush is a blast. It doesn’t really matter how many times you’ve done it before, watching an assembled fleet glide over a slowly turning blue planet on its way to deal out doom in the vacuum of space should bring a smile to the face of any gamer. For a title whose primary method of delivery is going to be download, you might expect to not see much documentation, instruction, or support materials. While there might not be an explanation of what each ship is, and what it shoots, and how it was built, you can find a ton of information on how to play the game. There is an entire wiki page devoted to game tactics and instructions, and the home page features a good series of “How To” videos. I found myself kind of wanting more and more to see history, background, special names of ships, etc. Then I realized that all of those neat things kept me from putting myself into the game. Sure, a manual listing the Mark 1 through Mark 3 fighters were called the Falcon, Raptor, and Talon class would be nice. But I just kind of did that, so who needs a list? A.I. War: Fleet Command is the rare game that comes along out of nowhere and makes you pay attention. Instead of hindering it, the flaws that the game has only serve to highlight how good the rest of it is. Taking the relatively simple concept of a space-based RTS and running it to the logical-if extreme-conclusion of battling across an entire galaxy. 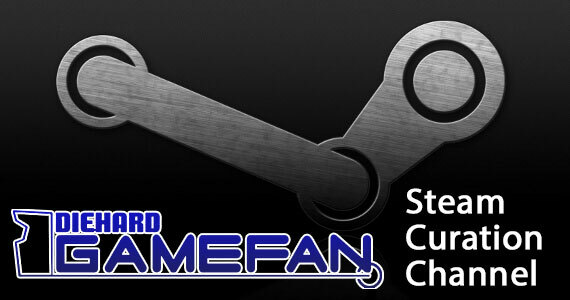 Aside from some repetitive music, no two games will have to play the same, ever. Add in a large dose of cooperative multi-player and you’ve got a heck of a long-lasting title. Armchair generals can feel free to enlist to become armchair admirals. Build the fleet of your dreams, and send it into a war for survival. It won’t break the bank, you don’t need a brand new gaming rig to enjoy it, you can lose yourself in the story, and you can keep playing it for hours. Fans of space battles should do themselves a favor and pick this game up as soon as possible. Very good review. I think what really sold the game to me was the co-op possibilities. I used to enjoy good RTSs for multiplayer because you could play against other real people, each who had their own gameplay style. In these games (starcraft, Warcraft III, supreme commander) the AI was nothing more than a tutorial for online play. I find that as time passes, I find myself more interested in co-op play rather than competitive play. The AI in these games was always unbearably easy, or impossibly hard. Either they acted in a very predictable way, and could easily be tricked, or they acted in a very predictable way (and cheated) and mopped the floor with me. The asymmetrical gameplay of AI War, the variety of galaxy configurations, unique ships, AI types and AI difficulties has kept me interested much longer than other, more mainstream or more graphically pleasing games. The single player experience is fun, but co-op is where the game really starts to shine. Join party strikes on enemy homeworlds and cooperative defence of AI counter-attacks takes this game to a whole other level.